Our Road Safety Club started over 12 years ago and since it's humble beginnings the team have helped to secure numerous awards for the school. As a school we are very lucky to have such a devoted team, who come up with some great ideas to keep road safety fresh and fun. Our activities and events range from Lucky Locks on cycles for pupils to find for a prize, hot chocolate and porridge mornings to encourage walking and cycling to school, GIST HGV's to raise awareness of large vehicles, to the Walking School Bus from Tesco. We also enter the pupils in numerous national competitions throughout the year. Some of which pupils at St. Mary's CE Primary school have been lucky enough to win! The team are now enjoying interviewing different members of our school community...please keep watching out for people you may know. The road safety team are very proud of what they help to achieve. This is shared in special worships with invited guests, who have included the Mayor of Beverley, the police and School Travel Action Plan Team from County Hall in Beverley. 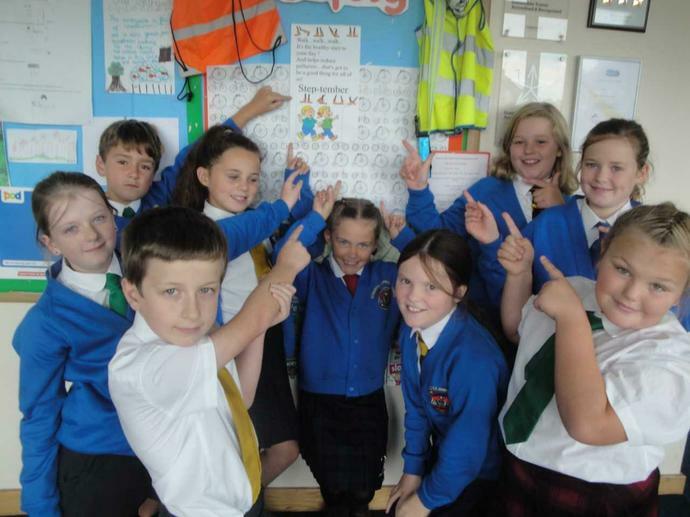 Our close links with partners from outside school have helped us along our road safety success journey. Most recently members of the team have travelled to the Houses of Parliament in London for a special School of the Region celebration. We also make an annual donation to Brake the Road Safety Charity with funds raised from stalls at the summer and Christmas fairs, donations from Healthy Breakfast mornings and with help from the Friends of St. Mary's. Junior Travel Ambassadors interview Mr Evans during 'Be Bike Smart' week.